Thinking Out Loud In Sturbridge: Where's Your Favorite Place To Get Ice Cream? It's late spring, and after this past weekend, one would swear it was July. With all that summer heat fresh in your mind, where is the best ice cream place in our area? Is it someplace here in town, or a bit of a drive away? Where do you take the kids, or just sneak away without them? Let everyone know by leaving your choice in the comments section, along with the reason why you feel your choice is the best. Is it because of their ice cream? Is it homemade? Is it the view, or the ambiance of the place? Mary, and I have a favorite, the Westview Farms Creamery in Monson. Sitting high on a hill it has a view to the west that is amazing especially at sunset. Couple the view with the pygmy goats cavorting in the pen, and its an evening of cheap entertainment, and great ice cream. Share your favorite place with the rest of us. 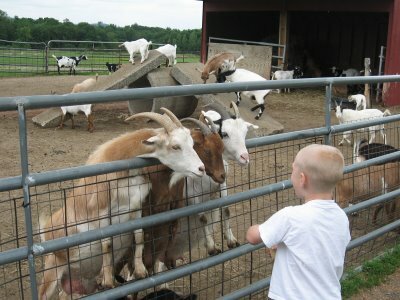 Kimball Farms in Westford, Take a look at the website. This is something be nice to have in Sturbridge and a good attraction for visitors and everyone. They are doing so well they even opened up more places from a family owned one now they have 4 places in Massachusetts and New Hampshire. And look at the investment they spent in Rural Area similar to Sturbridge. I lived in Westford (Nabnassett)as a kid and remember Kimball Farms very well. Went there till I was in my teens. You are so right, it is a great place, MD they have done a lot with the place. It ain't just for selling ice cream anymore! I have only been to Westview once and i loved it. A great place to take a date or whatever. The goats are a riot. Herrell's in Northampton. The penuche sauce is the greatest! Did you see that website of Kimball Farms, they have a great Ice Cream and your right Wally the Kimball Special is the bomb. All the Selectman needed to do is go get a Ice Cream Cone and would have been cheaper and seen it in action. Its pretty much all the plan for 15.